Every parent wants the best for their child: confidence, self-esteem, resilience, strong character, and rewarding friendships. Unfortunately, in our fast-paced, technology-driven world, children struggle to effectively relate with others and their social skills are suffering. Based on nearly 30 years of experience with youth, Final Touch has found that children with strong social skills thrive and become leaders. Anyone with a teenager knows that sometimes children are more receptive to instruction from anyone other than their parents. Final Touch’s goal is to come alongside parents and reinforce the critical life skills parents give their children. Our objective is not to teach youth how to “put on their best manners,” but to instead instill the values of kindness and respect through engaging, hands-on, and fun courses. If you would like to enroll in one of our public courses for youth, please register online. Looking for a customized solution? Please contact us at (206) 510-5357 to explore how Final Touch can support your group with a custom designed course or to engage Final Touch for private consulting. How often do we experience transformative events that leave us saying: “I remember when…”? 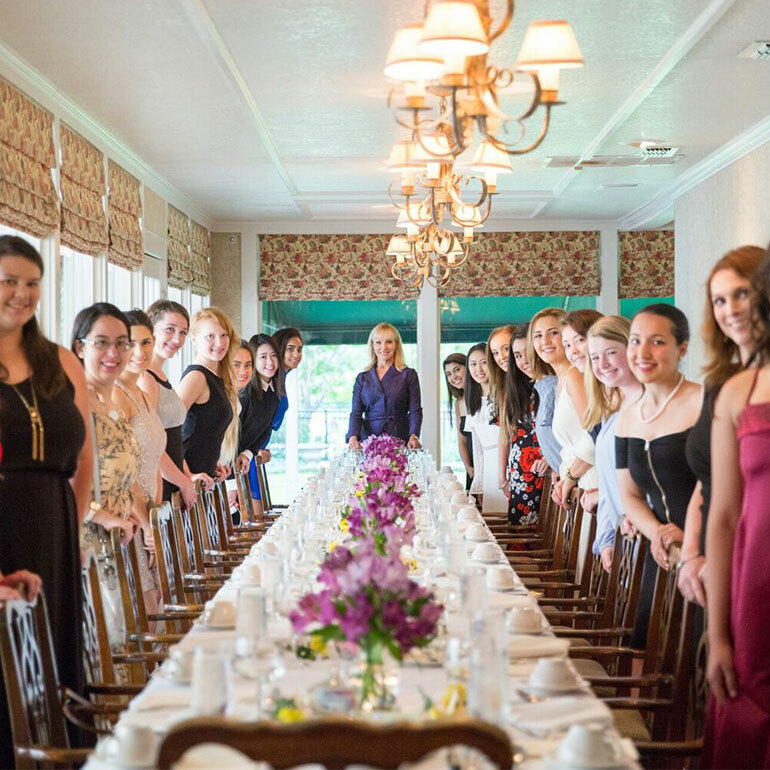 Once a year, twenty young women experience a life-changing week at the Inn on the River, located southwest of the Dallas-Fort Worth airport, mastering skills they will use for a lifetime. Deluxe Life Skills is not just another camp! Deborah King and a team of image, etiquette, and communication experts deliver unparalleled instruction targeted to address the unique needs of each participant at this powerful program. From Introductions to Handshaking, Nonverbal Communication to Networking, Time Management to Electronic Etiquette, and Wardrobe Building to Posture, Deluxe Life Skills delivers practical tools that every woman should have in her arsenal. For a complete list of topics addressed during Deluxe Life Skills, please contact us. The food and accommodations at the Inn on the River are first-class. Participants practice dining skills at every delicious meal, and the program culminates in a beautiful and memorable Dining Skills Banquet. The Banquet is an elaborate four-course dining experience that facilitates personal, hands-on dining etiquette instruction. Click here to see pictures, video, and learn what women experience at Deluxe Life Skills. In this 6.5-hour course, participants will be introduced to a series of Basic Etiquette Skills, including Meetings and Greetings, Conversation Made Easy, First Impressions, Technology Tips, Party Manners, Thank You Notes, and Dining Skills. Participants enjoy our signature Dining Skills Luncheon, which includes a multi-course meal served with step-by-step dining etiquette instruction. Participants also receive our new, full color workbook (available on Amazon) that is designed to support ongoing learning; it includes interactive games, quizzes, and activities to reinforce critical modern social skills after class. Click here to learn more and register! Children who are well-groomed, well-dressed, and well-mannered enjoy greater confidence and have more friends. Final Touch’s flagship children’s program has been taught around the world, and is now available online. Young Ladies and Gentlemen is designed for children aged 4-10 years old. In an interactive, 6-module program, Mrs. King will guide your child through Basic Etiquette Skills that are rooted in respect for self, others, and property. The modules include games, questions, quizzes, and homework assignments. When your child completes all 6 modules, they receive a certificate of completion and a copy of the Young Ladies and Gentlemen book. Click here to learn more! Read what youth have experienced at Final Touch.